Air Traffic Controller’s latest release is a roller coaster fun ride of pop punk mixed with electronic and a damn good time. “Hurry Hurry” is just a manic track — it will keep you company driving to the beach this weekend. Sounding a bit like The Urgency meets Hot Chelle Rae, they’re constantly coming at you with quick-paced lyrics ending with wicked rhymes. You’ll find yourself trying to catch every word just so you can sing along. “Pick Me Up” isn’t as crazy, but has a bit of kickier feeling to it — a little bit of a Rockabilly sound. “Ready Or Not” is a bit more like the expected radio friendly pop-rock song. The track isn’t anything special, but is super enjoyable. After the intro, the tracks pick up pace and even have a little bit of dance to it — don’t be afraid if you can’t stop jamming. The vocals even sound a the Format or Fun. for a period of time. 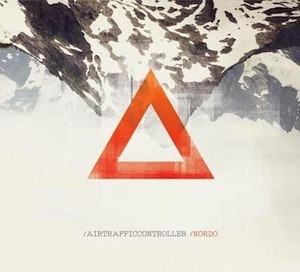 Overall, we know you won’t be able to put down this Air Traffic Controller album once you’re lucky enough to buy it.